PSNews – A representative of CNN International to Vietnam on November 8 announced that foreign friends will have chance to explore Hanoi, the beautiful capital of Vietnam on its channel through the program “Street Life Hanoi”. As scheduled, “Street Life Hanoi” will be broadcast on November 10 at 8.40pm; November 11 at 1.40am, 5.40am, 10.40am; November 12 at 10.10am, 1.40pm; November 14 at 6.40pm and November 22 at 6.40pm. On Street Life Hanoi, CNN International explores the historic city with a new perspective. CNN first travels around the famous 36 streets of Hanoi’s Old Quarter, where streets are named after crafts which once were practiced there. On Ta Hien Street, CNN meets Hanoi local Tan and Aussie expat Brett whose love for beer has seen them form one on the most popular beer tours in the city. Together, they teach locals and visitors about Hanoi’s famous cold brew, Bia hoi. Next, the programme samples Cha Ca, an iconic Vietnamese fish dish which also has an entire street named after it. Travelling along Cha Ca Street, the programme tastes some food at the city’s oldest restaurant, Cha Ca La Vong. CNN goes on to Hoang Hoa Tham, a tree-lined street named after a national hero. Said to be one of the prettiest, the 3-kilometre street also hosts local vendors selling flowers and bonsai trees. The programme’s last stop is Trang Tien Street where CNN receives a guided tour by Hanoi Kids, a free tour group run by volunteers who use touring to practice their English. The tour takes the programme to one of the most famous streets in the city during French colonial rule. CNN Vision is the creative production unit of CNN International. They bring the world’s breathtaking diversity into cinematic focus, telling stories that are revealing and inspiring. 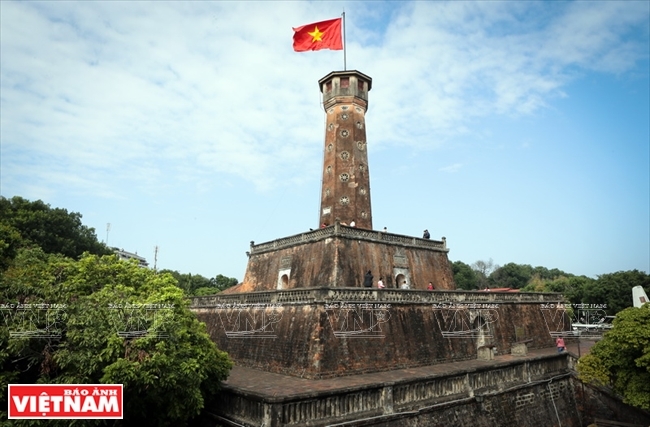 Through the program "Street Life Hanoi", CNN will contribute to widely promote the beautiful image of Vietnam on many aspects such as culture, society, and development.